The trip up to the top of Mount Somers is a steep climb, but at the top walkers are rewarded with fantastic views of the Southern Alps and Canterbury Plains. It is a long day trip which requires a reasonable level of fitness but is definitely achievable – it is regularly done by local 10 year olds in their last year of primary school. It is best attempted on a fine summers day though, as it is easy to get lost on the unmarked top in cloud and mist. From Christchurch, take State Highway 1 south to Ashburton, and once at Ashburton turn off to Methven. Before you get to Methven you’ll need to turn off again to Staveley (check your road map for the exact route as there are a network of minor roads!). Drive past the Staveley Store and follow the signs to the Sharplin Falls carpark. It takes approximately 1.5 hours to drive from Christchurch to Staveley. The Staveley Store has supplies and and can also provide some local knowledge on the walk. Park in the Sharplin Falls carpark. The start to the track is marked by a large sign. Head up the track which is well formed. You will ascend up the first steep ridge to Hookey Knob (731 m). Continue on until you reach a junction. The south face of the Mount Somers Track goes in one direction (not shown on topographic map below, but is on the DOC map), and the Summit Track in the other. Continue walking up along the Summit Track. Much of the track to the summit is unmarked, so it is best to only go up in good weather as it is easy to get lost if cloud or mist descends. 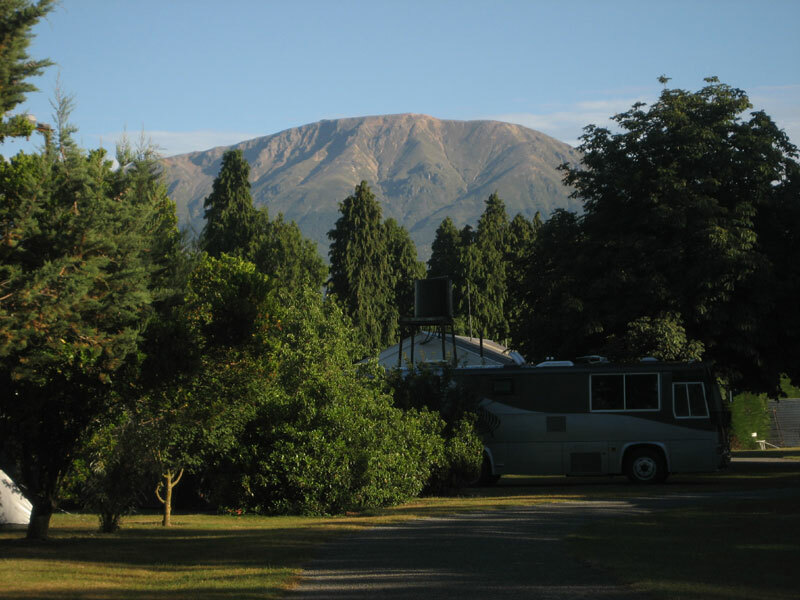 After enjoying the view of the Southern Alps and the Canterbury Plains, return the way you came to the Sharplin Falls Carpark. The return journey should take around 8-10 hours. Some guidebooks suggest approaching the summit from the western side of Mt Somers – taking the Rhyolite Ridge track up and walking along the high Plateau Ridge which is unmarked. We had a go at doing this and found it very hard work negotiating the tussock and vegetation. We don’t personally recommend this alternative route, unless you are an experienced South Island mountain tramper. There are many other tracks in the Mt Somers Conservation Area that can be enjoyed by walkers and trampers. Other options include the multi-day Mt Somers Track (nothern and southern sections) and shorter walks and nature trails (e.g. 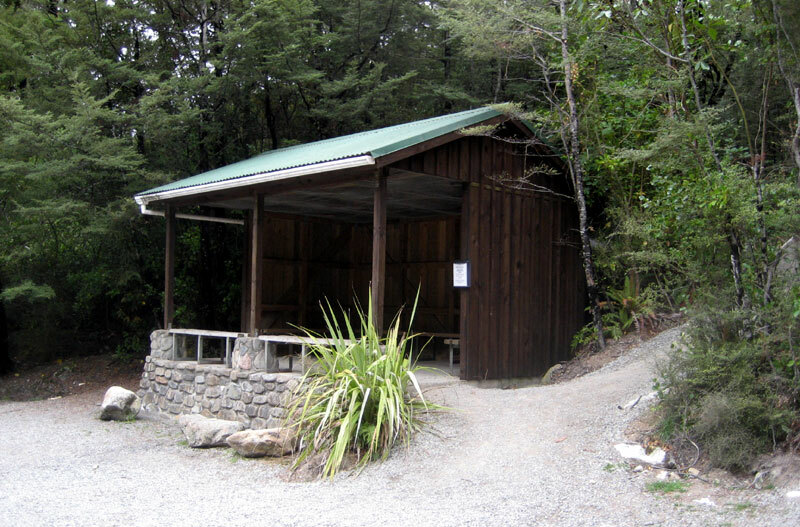 Sharplin Falls – 45 min; Nature Trail – 30 min; Miners Track – 3 hours). The DOC Brochure provides an outline on more of these tracks. Mt Somers is covered in snow in winter. An ice axe, crampons, and some mountaineering experience would be required to reach the summit.